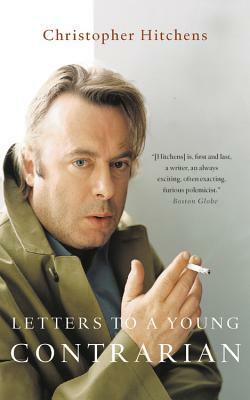 In Letters to a Young Contrarian, bestselling author and world-class provocateur Christopher Hitchens inspires the radicals, gadflies, mavericks, rebels, and angry young (wo)men of tomorrow. Exploring the entire range of "contrary positions"--from noble dissident to gratuitous nag--Hitchens introduces the next generation to the minds and the misfits who influenced him, invoking such mentors as Emile Zola, Rosa Parks, and George Orwell. As is his trademark, Hitchens pointedly pitches himself in contrast to stagnant attitudes across the ideological spectrum. No other writer has matched Hitchens's understanding of the importance of disagreement--to personal integrity, to informed discussion, to true progress, to democracy itself. Christopher Hitchens (1949-2011) was a prolific author, columnist, editor, and book critic, writing on issues ranging from politics, to religion, to the nature of debate itself. He was a regular contributor to the Atlantic Monthly, Vanity Fair, Slate, Harper's, and numerous other publications, as well as the recipient of the Lannan Literary Award for Nonfiction and the National Magazine Award. Hitchens's 2007 manifesto God Is Not Great was a #1 New York Times bestseller and a National Book Award finalist.